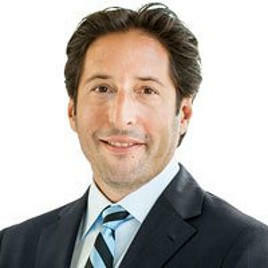 Jeffrey Neinstein has dedicated his practice to representing the seriously injured and their families. From his downtown office in the heart of Toronto’s legal district, Jeff helps severely injured accident victims throughout Ontario including Burlington and all of Halton Region. As a respected personal injury lawyer serving Burlington and Halton Region, Jeff has earned a reputation as a lawyer who not only has an impressive understanding of the legal issues and hurdles that must be overcome, but also the medical, social, emotional, and economic consequences of his clients’ injuries and losses. Jeff Neinstein has negotiated hundreds of settlements for clients. When fair and reasonable compensation was not able to be agreed upon – Jeff has pursued his clients’ rights through trials in the Superior Court of Justice, the Ontario Court of Appeal and the Financial Services Commission of Ontario. If you or a person you care about has been severely injured in a motor vehicle or any other type of accident, speak with an experienced Burlington personal injury lawyer. Jeffrey Neinstein is a lawyer who cares and knows his clients. He will vigorously fight to protect his clients’ rights and ensure that they receive maximum compensation. If Jeff and the Neinstein team take your case, it is because he believes it to be meritorious and worth pursuing. No money will be payable by you for legal services until a favourable decision has been secured. A short distance from Burlington, the significant expertise and the entirety of the resources our firm draws upon await to be deployed in pursuit of the justice and compensation you deserve. If you are unable to come to us, we will arrange to meet you in your home, hospital or rehab centre. Need a Burlington Personal Injury Lawyer? If you or a person you care about has suffered a serious injury in Burlington, Ontario or the surrounding areas, contact Jeff Neinstein to discuss the circumstances of the injury. There is no cost or obligation for this consultation. Phone: 416-920-4242 x2223 or Email: jeffrey@neinstein.com.